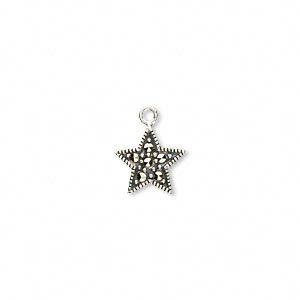 Charm, marcasite and sterling silver, 10x10mm star. Sold individually. Marcasite is a metallic, black-grey stone similar in chemical makeup to pyrite, but different in crystal structure. 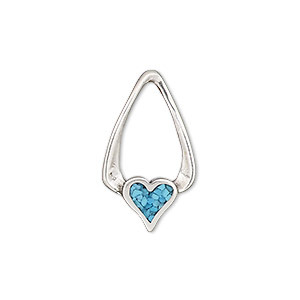 It is machine-cut and machine-polished, giving an antiqued vintage look to the jewelry made using it. 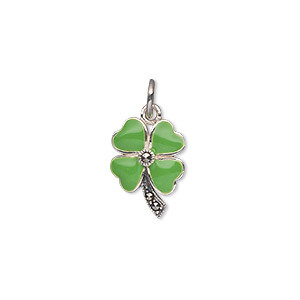 Charm, Signity® marcasite (natural) / epoxy / antiqued sterling silver, green, 15x11mm single-sided 4-leaf clover. Sold individually. 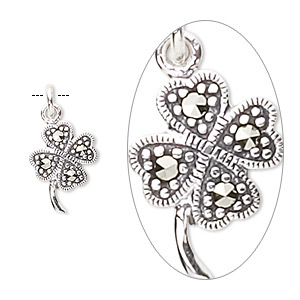 Charm, marcasite (natural) and sterling silver, 14x10mm 4-leaf clover. Sold individually. 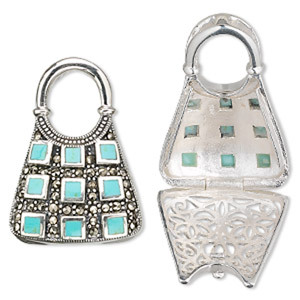 Charm, sterling silver / marcasite / "turquoise" (imitation) resin, 34x25mm hinged purse. Sold individually. 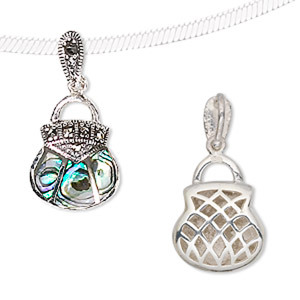 Charm, sterling silver and marcasite with abalone (natural), 25x14mm purse. Sold individually. 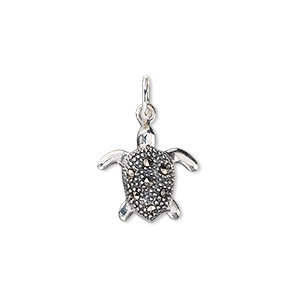 Charm, sterling silver / marcasite / black onyx / mother-of-pearl shell (dyed / bleached), 32x20mm purse. Sold individually. 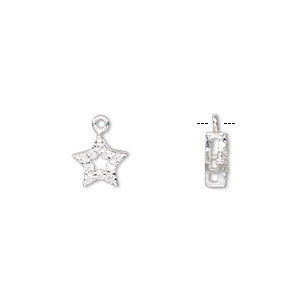 Charm, sterling silver and cubic zirconia, clear, 8mm single-sided open star. Sold individually. 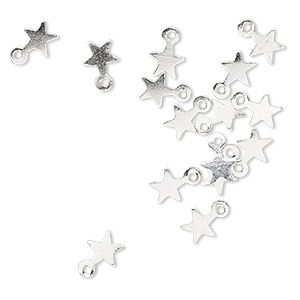 Charm, sterling silver, 4x4mm star. Sold per pkg of 20.